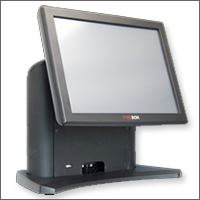 The Unytouch Touch Systems B-Series All-in-One touch computer platform simply provides in a compact design, more flexibility with a choice of configuration and connectivity options, more serviceability with easy access to key components, and more processing power. In addition, a wide array field-installable peripherals, spill-resistant sealing, and a selection of input/output port connection options make the B-Series both versatile and powerful. It is designed with the future in mind, allowing easy field serviceability of all of the main components. 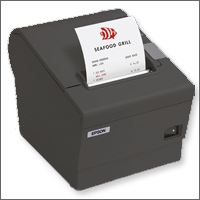 The TM-U220 series is optimized for high-speed throughput so customer receipts and kitchen orders print faster than ever. For maximum efficiency, the TM-U220A, TM-U220B and TM-U220D all offer drop-in paper loading and two-color, black and red printing to highlight special offers and print more impactful logos. 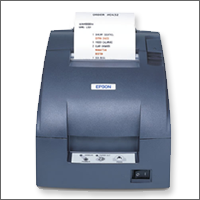 They also have an adjustable paper width feature that allows you to use 58, 70 or 76mm paper rolls for more flexibility and greater cost savings. 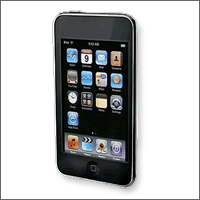 iPOD 8GB Hand Held Units have an extended battery life allowing efficient at the table service. iPOD has the capability to provide full table management, server user screens, full tabs modules as well as cashier/bartender screens.